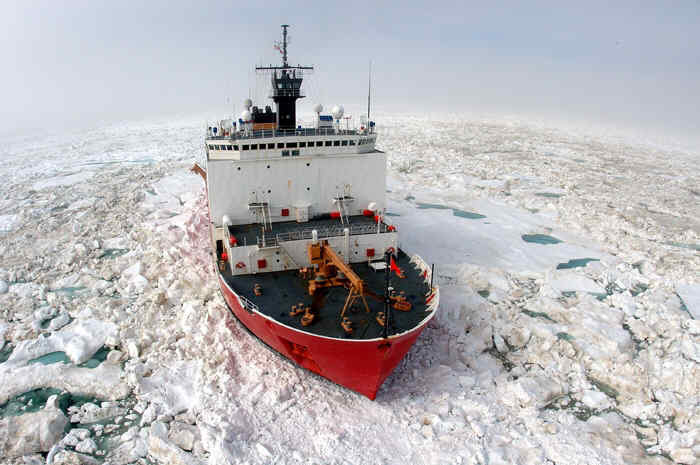 EPA abuses the permit process for an icebreaker | Watts Up With That? Jeez Louise. They may need an icebreaker for the project, and so since they didn’t account for its exhaust, let’s scuttle the whole thing and the 4 billion invested so far. I’m no fan of Shell, but this is just wrong. This makes me angry, especially when we have these nether-NGOs like “Earthjustice” involved. ….then we have the EPA pulling this crap to prevent domestic oil production with the help of NGO’s. Events like this are a prime example of why many in Congress want to strip authority from the EPA. Shell had reportedly invested over $4 billion in this project. Shakedown Socialism. Shell didn’t pay the right Kommissar. This would easily fit into the plot of Atlas Shrugged, which I watched last night. It seems clear that there is an agenda involved other than ice-breaker exhaust. If the goalposts keep moving, why would ANYONE sane keep doing business in the United States? Like you, I’m no fan of Shell–but WTF? If this is the payoff for a $4 B investment, Shell would have been better off speculating in the international stock market. Which would, of course, have eliminated several hundred jobs for U. S. based scientists and engineers. But hey, looks like we’d rather fund international financial wizards than pay to create jobs….wealth… and U.S.-based energy sources. OOOOOOOKay. Just so we’re clear on priorities, people! Blood is thicker than oil. I too have watched http://www.atlasshruggedpart1.com/ (and strongly urge you all to do likewise) after having read it, and re-read it several times. Whilst I understand the criticisms aimed at Ayn Rand, this is a picture postcard example of exactly what she illustrates in Atlas Shrugged. I’m sad to see it in my lifetime. The fun thing is, on this side of the Atlantic, all that we hear is that the evil anti-science congress wants to strip the EPA off its powers because Reps are against clean air. I constantly correct the misperceptions of my German friends. I am sure most of our journalists are bought or naturally unfit for the job. Why does our administration hate the idea of real energy independence for this nation? Do they really think planting pinwheels and whirlygigs are going to solve our problems? Or, if we plant more corn? Milo was pretty high today, how does this equate with a solvent U.S.? Given the S&P’s recent rating, you’d thought the EPA would be more cognizant of this nation’s situation. This is just another of many examples the Administration is attempting to choke off the production of oil and gas. It’s part of the irrational religion of hating fossil fuels at the expens of our economy. Of course the regulation of CO2 emissions by the EPA will be the ultimate killer of our economy unless throttled by sane forces in the House of Representatives. I wonder if the Administration still believes that the alternative energy sources can ever supply a significant part of our energy needs. They are a hoax even bigger than that the climate change debacle. We are pouring dollars down a rat hole, and the Administration wants to tax fossil energy sources to increase the size of the rat hole. The irronic thing is that this president is himself one of the worst offenders of wasting fossil fuels flying around in Air Force 1 for no good reason other than to stir up his base. • An illegal moratorium on drilling in the Gulf of Mexico. • The rescission of permits that had already been issued for drilling in the Chukchi Sea off Alaska. • The withholding of air permits for drilling, prompting Shell to walk away from an estimated 27 billion barrels of Arctic oil. November 2012 CAN’T COME QUICK ENOUGH. ! And with gas prices going up, I would say the obama isn’t looking out for the US interests. Isn’t that one of the presidents’s jobs, not hurting the US, which this sure is . . . gee, is that an impeachable offense . . ? (a bit of sarc obviously, but still . . .) though the VP likely wouldn’t be any better if he were there . . .
“When I was asked earlier about the issue of coal…under my plan of a cap and trade system, electricity rates would necessarily skyrocket…even regardless of what I say about whether coal is good or bad, because I’m capping greenhouse gasses, coal power plants, natural gas…you name it…whatever the plants were, whatever the industry was, they would have to retro-fit their operations. The USA can buy ethical oil from the Canadian oil sands today, instead of grappling with the EPA who prefers Middle Eastern oil. 1. Shell was negligent to not include George Soros in ownership of the leases. That would have expedited the permit approval. The other sad fact is that in recent years, oil/gas lease purchases and production royalities have been the gratest source of Revenue to the US Treasury after income tax!! Could we use the increased revenue as well as the high paying jobs created by oil/gas exploration and production? All the Silicon Valley Industrial Welfare Socialists; aka the renewable energy “investors” are in Obambi’s pocket. Sarah Palin is from Alaska. What else do you need to know ? Maybe Alaska should secede and join OPEC. I am a bit perplexed with regards to the “subsidies” that the Luddites want to strip from the oil companies. Are these the same royalty waivers that the MMS uses to entice development of the deep and ultra deep fields in the GOM? If not, please elaborate. Based on recent historical production/transport/markup, that pencils in at $4.08/gal on the National Pump Price. And this cheeze-whiz wants to look for price gouging. I am a bit perplexed with regards to the “subsidies” that the Luddites want to strip from the oil companies. That would indeed, secure the oil for Shell and ensure the purchase by the U.S……… Oddly, I think the various separatist movements in AK would never come to an agreement on how to accomplish such an action. The impact on a village several miles away from the icebreaker……yeh, thank goodness the EPA is there to keep them safe……….from jobs. only the Corwith Cramer and Rovert C. Seamans should be doing any exploring lest we “increase air pollution levels close to air quality standards”. IIRC, when oil was around $143 a barrel in 2008, President Bush simply announced that he was lifting the drilling moratorium. Although no extra oil came on line as a result of his announcement, the price of oil immediately began to decline. It went down to $33 a barrel, and gasoline was $1.87 a gallon when Obama was sworn into office. The first thing Obama did as President was to impose a new drilling ban. Obama’s ban covers much more area than the previous moratorium that both Presidents Bush 41 & 43 inherited from the Clinton Administration. Remember, Bambi gets funding from BP and is a friend of Petrobras. Screw all the other oil companies (till they contribute to his 2012 election campaign). Didn’t Obama and the Dems muse about fines or outright revocation of leases for oil companies that didn’t drill on their leases not too long ago? So Shell failed to consider greenhouse gas emissions from its icebreaker and that pushes it to a level where it might violate air quality standards? There are no air quality standards for greenhouse gasses, only EPA “guidance.” So now facilities/sources have to meet non-existent standards for unspecified emissions. Nothing will ever get done. If the US wants oil independence then it had better use less cause it can’t drill its way there, hasn’t been able to for well over 30 years. Isn’t from a lack of trying either. Obama is like every other POTUS going back to like Carter, mentioning oil independence is something they all have done and they all have been lying, this is old news. Until the pricing of oil is no longer distorted by policy the US is going to increasingly find itself in an impossible and tragic situation. Judith Curry talks about “wicked” problems, oil depletion is a real bear of a problem that makes others look tame. Sadly things are no better here in Australia. Here it can take the State Government department concerned more than three years to permit even a small tailings extraction plant in the middle of nowhere. And this for a plant that will remediate sands that have lain contaminated with high levels of arsenic and heavy metals for more than 100 years. We also have a National Government that seeks to kill-off profitable mining companies with its super tax, a tax which would take the overall level of royalty/tax to not far short of 50%. We are in a resources boom they say you must share the profits – no heed of the decades of poor markets, the years of exploration and development. This is all before we even consider the Government’s ill conceived carbon dioxide tax on everything. It’s no wonder people just give up and go elsewhere. Let me fix that headline for you . . .
Just like he said he would. This is completely unacceptable. Can’t wait for the elections to come around. I will be hitting the streets. Please write your congresscritters. Keep the letters short, but given the plethora of issues behind this action, write several letters. How many subjects are there on this? Increase supply of oil to lower prices. Decrease dependence on foreign oil. Blow off a $4,000,000,000 investment by a US company by a federal agency’s individual action. Waste a $4,000,000,000 that would have created hundreds? of direct jobs and orders of magnitude more indirect jobs. (Jobs are fashionable – New Hampshire politicians are very sensitive to bills that improve or harm the job market.) If this project were to produce any oil price decline, then that will affect millions of people. What happened to the “Greatest Good Principle” (probably a number of good communist angles). Apply with care! If you have a good topic or write a good letter, post it here. The Obama EPA has taken this to a whole new level but this has been occurring in the USA for decades now. As others have said, how can anyone invest long term capitol in this environment………never knowing when some NGO or local opposition group will successfully destroy all, or part, of your invested capitol? There are MANY socialist European societies that do a better job of encouraging capitol investment than we do. There is a saying in economics………”Capitol goes where it is needed, and stays where it is treated well.” We do not treat it well in the United States. Well, I’m for the Chi-comms coming in a tapping this reserve with their sideways drilling. Somebody needs to bring this field into play and if I was them I’d say “put up or shut up” to anyone who claimed more than a three mile limit. Other than the jobs lost, at least that way we get oil into the market to help balance the demand with supply. Why doesn’t Shell just agree to power any needed icebreakers with Veg. Oil, or Cellulosic Ethanol, or some other fuel that the EPA is down with? Yes. The EPA action, destroying a$4 billion dollar investment with the most trivial of bureaucratic excuses, is profoundly wrong. We must do more than write about it on blogs, though. We must immediately call our legislators and, in the strongest terms, tell them to cut all funding for the EPA until this decision is reversed and every person in the approval chain of this travesty is fired, including AdministratorLisa Jackson. Then, hike thee (physically, electronically, and financially) down to your favorite local political organization and work your butts off for the next year and a half to defeat all politicians supporting these EPA hacks and the current administration that installed and sustains them! It is a many headed hydra, we must slay… and no time to spare but for sharpening your grass roots swords. Uh, and besides, that’s not exactly how this deal came down. The regulatory status in Alaska is “much different,” he said. Odum said he’s hopeful the delay will be resolved and he appreciates EPA Administrator Lisa Jackson looking at the issue. Several federal agencies have worked with Shell to help the company in Alaska, including the EPA, which issued a permit on March 31, 2010, according to a statement. This makes about as much sense as taxing oil companies more so they will lower prices. With that kind of logic, is it any wonder western civilization is going down the low-flow toilet? The sad reality is that this is NOT isolated. All sorts of groups – EVERYwhere – are impeding energy independence. Whilst simultaneously decrying gasoline and food prices. The intellectual dissonance is stunning. Just today. Not isolated by any stretch of the imagination. It goes on, and on, and on…. And they wonder why the US companies leave…..
“What the modeling showed was in communities like Kaktovik, Shell’s drilling would increase air pollution levels close to air quality standards,” said Eric Grafe, Earthjustice’s lead attorney on the case. Does anyone have any references to the “models” that were employed in the “study?” And were the models enough evidence for the EPA to scuttle billions of dollars invested oil exploration by Shell?? You’ve got to be kidding! But, again, for anyone who wants to know what the end game is for the CAGW alarmism being spread by the likes of Hansen, Schmidt, Mann, Santer, Trenberth, et al., here it is, writ large. On another front, watched Evil Fox news today and caught an interview with an oil guy about EPA plans to list some lizard… which will shut down oil drilling in western Texas. Sorry, can’t find a link. But that should help. After all, under Barry’s plan – well, actually his masters’s plans – energy prices will necessarily skyrocket. So sad… but it is happening right before our eyes. As this begins… “read it and weep” for the good old days. Don’t get sucked in. Obama’s plan isn’t to reduce oil consumption, only to change vendors. That’s why he’s promising to be Brazil’s best customer. One has to wonder why we don’t spend the money here and not in foreign countries. The world is full of these sad sack leftist like Obama and his EPA they do 5% good and 95% bad. I’ve watched it all my life, from the many countries I’ve lived in and the modus oparandi is always the same. Promise, subvert,tax and destroy. But of all of them Obama takes the cheese with his Czars/comrades and agency’s such as the EPA, it’s amazing how much damage socialist cooks can do in such a short period of time. Some say Obama is so a-peeling, so nice,hes so charming, he has a nice smile? So did Stalin and he was one of the most vicarious mean bastards in history! Obama and his like will reap a whirl wind of financial and emotional hurt to America and it will reverberate around the world! Voters are enamored with the smile and a turn of phrase and never with the consequences or substance! Robert Palmer from Doctor Doctor give me the news! My goodness. For this one-time Dem, 2012 can’t come fast enough. I don’t care how bad the Repub nomination turns out to be, this just cannot continue. A bad, blond, back of the head comb-over with pursed lips, and hot-headed sound bites is better than “devastating”. I hope they sue to get the $2.2 billion back, and maybe the whole $4 billion. Then we might see what the EPA is actually worth in dollars, beside f***-all these days. Shale oil isn’t crude oil, its kerogen first of all, second of all the flow rate is abysmal and will never reach any meaningful levels and the actual recoverable reserves are far less than 800 billion barrels. All oil grades are not the same nor are the fields they are found in comparable. The US is down to just under 5 million barrels per day or crude + condensate production, been falling since 1971. Flow rate is the name of the game and the US lost the ability to boost production enough to overcome the decline rate of existing fields a long time ago. The US peaked in domestic production not due to drilling restrictions but because it simply ran out of the easy to get to plentiful oil fields with large reserves just like every other nation that hit their peaks which about 40 nations at this point. There appears to be big money to be made by shutting down legitimate industrial activity. America is a “Can Do” country, and if the government simply gets out of our way there will be ample energy. The problem is that Obama is doing his level best to neuter our great exceptionalism. He is a craven traitor IMO. Not really, the US, including Obama have called Canadian Oil Sands “Dirty Oil” along with other sources and are delaying/blocking approval of pipelines to ship Canadiab oil to US refineries. So, Canadian, European and Asian countries are looking at shipping oil west and east instead of south as it is getting ridiculously difficult to ship south. It the US doesn’t want our “Dirty Oil” regardless of its origin, then it will go elsewhere and more high paying US refining jobs will be lost. The Obama government is pretty much sticking to the plan they laid out pre-election. A lot of people must not have read his platform before the election as I told a lot of my US cousins to read it before they voted …. but all they heard was the rhetoric and they didn’t read it. Obama is just doing what he said he would before he was ever elected. The minuscule CO2 emissions from an icebreaker? That makes less sense than fining someone for p*ssing in the middle of the Pacific. Shirley they must be joking. …second of all the flow rate is abysmal and will never reach any meaningful levels and the actual recoverable reserves are far less than 800 billion barrels. People need to understand that this sort of thing is right out of the Socialist playbook. Obama is deliberately creating confusion and uncertainty about as many issues as possible. That’s how you bring about “Fundamental Change”. Pay attention folks. It’s working. Yet his policies are diametrically opposite to his promise. He committed to reduce oil imports to the United States by a third over the next 10 years. Yet he is hindering fuel development at every turn, directly opposite his commitments. This is a severe abuse of the rule of law. For a glimpse of the challenge before us, see Robert L. Hirsch The Impending World Energy Crunch. The real challenge is that domestic consumption by oil exporting countries will be reducing global oil exports by about 9%/year. He cannot prevent the US from descending into severe financial depression unless he sets a total moon shot goal for liquid transport fuels on a war time footing. I strongly challenge those aspiring to President or Congress to grasp a hold of this challenge and rise to the challenge. Screw up your courage, grab a hold of the challenge, and do it! We have about 18 months to grease those rails in DC. If the Democrats were surprised in 2010, I think they will be absolutely “gobsmacked” in 2012. Let’s see, Shell share holders just lost $4 billion. I wonder how they will make that up? End users get the big wazoo once again. Thank you Mr President, may I have another! Unfortunately you are not “talking” to the uninformed on this site. Very few will buy the Kool Aid from the administration and the MSM. There are just too many restrictions on drilling to believe your claim. While in the house Obama was pushing a bill to prevent new technology being used to survey not recently surveyed. Also Oil/gas production increased as the result of Bush policy of opening up lands during the last high price gas crisis. Prices came down to circa $1.80. Do you really believe that the Environmental policy of taking so many promising energy producing sites off the table has not significantly affected our oil and gas reserve/production? This administration has significantly expanded the acerage where exploration and production has been banned. Just read the posts listed here to learn about some of the areas that have been declared off limits by the Goverment. 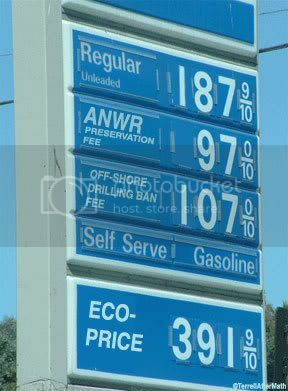 If there really is no oil there, take the royality payments to enrich the treasury, and let the oil companies go broke. What are you afraid of, Just open up these areas and then maybe you can prove your point. The drilling ban is a self fufilling prophecy re peak oil. Won’t Shell just write it off as a business loss and write it off on their taxes ? Oh I forgot does Shell actually pay any business taxes (I know GE dosn’t) ??? Damn government departments – just spoke to a colleague in the West Australian Department of Mines, who wise cracked that the Mine-safety rules applied to exploration would mean no one could do any exploration field work. My sarcastic response was that this is probably the goal. (Conversation was about my field crew being stranded in a country town with the latest Landcruiser utility (16,000km on the clock, brand new sort of) that had a flat battery. Flat battery and US battery literally means no go for the modern computerised engine management systems. The long term game plan is to shut down the mining industry (including petroleum) by locking us out of our own countries, or making life so intolerably difficult for safety concerns. Yup there is an agenda here. Imagine if the EPA had been around when the Mayflower was preparing to sail. It would never have left port and would instead have been broken up and tossed in a compost heap. It is very clear that the EPA and Obama want to separate the US from any and all activities relating to Energy. Oil happens to be target #1. They are just getting started. Does anybody else notice that, once again, opaque and unquestionable “computer models” are used in a government decision as a substitute for facts or evidence in order to expand the power of government? Maybe we need a Constitutional amendment specifying that computer models are not admissible in any court or government decision-making body. Any time an advocacy group is involved you can bet it is in anything but the public interest and only in the interest of that group or its position. ANWAR is a red herring too, all sides in this are suspect. If we are serious about energy independence then we need to do several general things. 1. Get busy with increased development of convention crude in places like the Williston basin and enhanced recovery techniques. 2. start developing resources like coal and keragon shale as sources of fuel liquids. 3. Natural gas is another source. 4. increased efficiency is always good. 5. lots of possibilities in recycling like tires and other stuff and bio-waste. 6. Hire me to advise you. Shale oil isn’t crude oil, its kerogen first of all, second of all the flow rate is abysmal and will never reach any meaningful levels and the actual recoverable reserves are far less than 800 billion barrels. Source? Because it appears to me we have ~270 YEARS of 100% of our needs locked up in our shale oil reserves. We could be a net-exporter of petroleum on the scale of Saudi Arabia if we really wanted to, and have abundant oil at under $30/barrel (gas down around $1 per gallon) if desired. Sorry, but your link itself clearly shows that the U.S. reversed its crude production decline in 2009. This was due to both shale oil and those “little” OCS fields like we saw in the BP blowout. Thirty years ago, Brazil had ZERO deepwater oil reserves. Today, it produces over 2 million barrels/day -on the way to becoming a member of OPEC. You have to explore before you have have proven reserves. Over 85% of the U.S. Offshore is off-limits to all exploration. Even with these severe restrictions, the U.S. is the Third largest oil producer in the world. Lack of domestic oil production is a self-induced political problem -not a resource problem. Flashback, only 2 years ago scientist on a “Climate Tour” joy ride on an Icebreaker got stuck. Clearly the emissions of that Icebreaker have been of the non polluting kind. Just yesterday, April 25, 2011, I and many fellow hobby farmers received in the mail from a county clerk a new bill (tax) of $72 a year for managing rain run-off water from our roofs. (I live in the country outside city limits far away from any storm sewer system.) This is the first of many unfunded mandates that are coming down from the EPA to state departments of ecology and to local municipalities with heavy penalties for non-compliance. PLEASE! Could someone advise us as to how best to combat this creeping taxation without representation? Congress is not doing its job. We need to let other countries find the oil in the Arctic, drill for it, and sell it to us. This is a form of wealth redistribution, and it’s probably being done in part for our colonialism sins. Experts say 1/3rd is recoverable huh, cite that since your earlier numbers were easily blown out of the water, then knock a bunch off that due to the reduced energy content to boot. What’s the ROI look like? Pretty crappy isn’t it, and what’s that do to flow rates which you keep ignoring? As far drilling restrictions go, sorry but not only does US oil production history make any claims of restrictions causing an artificial peak absurd but it also applies in all the other nations which have never had such restrictions. Look at the start dates, rig counts and time frames. US offshore restrictions didn’t even start till late 1969. Funny how in the late 60’s oil was still considered infinite in the US despite being told otherwise then 2 years later the US had its oh crap moment followed by a huge spike in drilling with no results. Not the first time drilling has gone nuts with production declining anyway either, that’s been going on since 1971. This exact same scenario has played out in numerous countries. Flow rate is everything, want high flow rate then you need big shallow easy to get at oil fields and the US used those up. The low hanging fruit is gone. Just to break even the US only has to replace a mere 200,000 barrels per day at current rates each year, it has been unable to regardless of price. Going back to 1971 at that stage to stave off depletion rates it only had to replace a mere 330,000 barrels per day and it couldn’t do that then either even though price went thru the roof in the 70’s. Shale oil has been available and in play the entire time, knock yourself out and give it a shot but its production history tells the story there too. Getting oil out of very hard and not porous rock thousands of feet underground is far easier said than done. That is simply Luddite naysaying. Get the government out of the way, let the free market operate, and ample oil will be produced. “Very hard” in the American lexicon is just an obstacle to be overcome. Producing energy is nothing compared to putting men on the moon. Environmentalists attack on U.S. oil production is not limited to Alaska offshore. Take a look at http://www.regulations.gov/#!documentDetail;D=FWS-R2-ES-2010-0041-0001 which proposes endangered species status for the “Dunes Sagebrush Lizard”. Such a finding could markedly limit future production from long producing fields in Eastern New Mexico (Chaves, Roosevelt, Eddy, and Lea counties) and Western Texas (Andrews, Crane, Gaines, Ward, and Winkler counties). Yet his policies are diametrically opposite to his promise. . .
Actually, they’re not. If the string-pullers of the Puppet President have their way, they’ll wreck the American economy—in the name of enviro-correctness (‘alternative’ energy, elimination of automobiles, shutting down smokestack industries, etc. )—and American demand for oil will evaporate. We won’t be dependent any more, just like all the other third-world countries. As has been pointed out previously, shale oil is not oil, but a precuror to oil known as kerogen. The energy density of shale oil is comparable to that of a baked potato. In order to be converted into useful oil, the long hydrocarbon chains of kerogen must be cracked into shorter hydrocarbons. This requires a considerable amount of energy in the form of heat. The shale oil situation is quite different from that of the oil sands of Canada. They are talking about drilling for billions of barrels of oil and they are are shut down by the EPA because they didn’t account for the CO2 emissions of the icebreaker? That goes far beyond abuse and blatant stupidity. 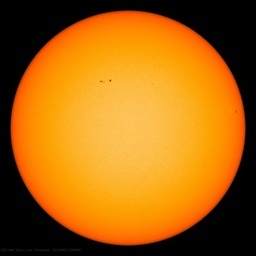 It is time to completely defund and defang that group of tyrants when it comes to anything remotely involving CO2..
Sun Spot: Won’t Shell just write it off as a business loss and write it off on their taxes ? Tom in Florida: Let’s see, Shell share holders just lost $4 billion. I wonder how they will make that up? Latitude: That will cost money…they will pass that money on to the consumers. And the California teachers retirement system (CALSTRS) holds $227,403,000 worth. Considering that these are figures from just one state, and just two of the many institutional owners providing benefits to the general public, it is clear that the losses from arbitrary governmental abuse of power will be generally distributed across the population whether at the pump or in the future retirement check. Undeveloped resources will be taken by cultures that are more aggressive than the incumbents. Every action has an equal and opposite reaction – the EPA is creating the backlash that will destroy it. Environmentalism is a classic malinvestment that will be unwound with the fiat currencies that are required to allow it to persist. FoxNews also ran the story about Shell abandoning drilling this summer in the Beaufort and Chukchi Seas off Northern Alaska because the EPA will not give them a critical air permit. Part of the story refers to the Trans Alaska Pipeline and how 30 years after it was built, it is running 660,000 bbl per day, < 1/3 of capacity, due to production declines from the existing North Slope fields. Production on the North Slope of Alaska is declining at a rate of about 7 percent a year. If the volume gets much lower, pipeline officials say they will have to shut it down. Alaska officials are blasting the Environmental Protection Agency. Why shut the pipeline down? I think it is because that over the length of the pipeline, the oil has to move above a critical velocity so that it stays warm via head loss from its viscosity. If the oil cools below its pour point, the pipeline will turn into an 800 mile long candle. So lets suppose that we close the TAPS and lose 600,000 bbls of oil per day. What does that mean in energy loss? Let’s put it into wind turbine equivalents. One 1.5 MW wind turbine equals about 20 bbls of oil per day at the name plate rating or about 6 bbls of oil per day assuming typical energy factor for usable wind availability. So closing the TAPS will be the energy equivalent of loosing 100,000 wind turbines. Over the course of 800 miles, that would be one wind turbine every four feet. Given needed separation between turbines, that would be a windfarm 800 miles long and 20 miles wide. As of today, there are fewer than 35,000 wind turbines installed in the USA with nameplate capacity of < 45,000 MW. So closing the TAPS, a 30 year old asset running at 1/3 of its capacity, will result in the loss of energy production equal to over 2 times all the wind power currently installed with GAO-knows how many billions of taxpayer subsidies. All because the EPA will not issue the air permits to allow drilling. For the want of a permit, a pipeline may be lost. For the want of a nail….. a war was lost. Of course it depends on whose side of the war you are on. Just curious, but are these members of this EPA appeals board political appointees of the current administration or EPA bureaucrats? Can you blame companies for outsourcing. Obama and company are turning every US industry into villains from oil, oil services, pharma, coal, banking until they took it over, insurance, wall street, software, semiconductors, autos until they took them over, construction, timber, nuclear, and mining. Even their pet projects of wind mills, solar panels, high speed rail, have fled or are fleeing the country — and the fleeing continues even through the recession. If the government were not spending 10% of the GDP in deficit each year, our economy would be shrinking by about 7 to 8% per year. What businessman in his right mind wants to put up with the legal threats and the unstable, costly, and lengthy permit processes? Those EPA folks apparently don’t realize that at the end of the day they are paid by Private Industry. This has to stop. I am beginning to think that the Administration has embarked on a scorched earth policy to do as much damage as possible in the 20 months they have left. This is our punishment for the rejection of the progressive agenda on November of 2010. It’s called lawfare. The deliberate obstruction of a project by every means available within the letter of the law, regardless of the intent of the law. Sierra club are experts at it. They don’t necessarily need to get a cease operations order, only to slow things to a molasses in January pace so that the investors will complain that there’s no return, and seek developments elsewhere. So closing the TAPS will be the energy equivalent of loosing 100,000 wind turbines Over the course of 800 miles, that would be one wind turbine every forty feet. Given needed separation between turbines, that would be a windfarm 800 miles long and two miles wide. Environmental groups were thrilled by the ruling. These same environmental groups appear to be unfazed by the large number of Russian icebreakers that operate in Arctic waters throughout the year. I strongly agree with the Luddite analogy. Getting stuff out of “very hard and not porous rock thousands of feet underground” is quite easy… it’s call Hydrofracking. But then, the self lobotomized naysayers have made that an evil technology buzzword as well. So… in a nutshell, your statement is wrong. I’m afraid the truth is more terrible than anyone imagines. It isn’t just stupidity. This is a deliberate plan to strip us of independence. It is a financial and perhaps ultimately military assault. With oil exploration comes risks and occasionally some splills. Each time it is hailed as the worst evil in the worls yet the banking industry very nearly brought about the collapse of civilization as we know it and they’re already back to their old ways of double dealing and big bonuses. When will the worlds governments get their priorites right. The world is brimming over with governmental organizations placing restrictions on the lives of ordinary people and each time without deference to the people who voted them into power. Shell’s been trying earnestly to drill its exploratory wells since 2005. Each summer it’s something else that prevents them (last summer it was BP’s mess in the Gulf of Mexico, before that there were a number of lawsuits by environmental groups). They had finally cleared court hurdles and now this. An estimated 25 billion barrels of oil is waiting to be discovered and produced. It’ll still be there when some sanity returns. Who in the world does he think is going to pay for this? He cannot conceive that ultimately, we consumers pay for corporate taxes and also for “investments in clean energy”, whether they pay off or not. Not to mention that the evil big oil companies may be the best places to “invest in clean energy”. What an embarrassment this administration has become. Disclaimer: My spouse has worked for a quarter century as a geologist for Shell Oil. There is some amazing talent in that organization, especially on the R&D side, but the company is rapidly losing interest in US operations. There is less emphasis in recent years on replacing the rapidly retiring “Bell Labs” quality talent. Sad to watch, but a symptom of the political instability in the US. Understandably, by now wealth creation itself always threatens the essentially parasitic Communist/Totalitarian throwbacks because it suggests their basic lack of importance to other people within a society and to Humanity in general. Also, as effective infants, it more primarily gratifies them to vandalize, destroy and impede the workings of the wonderous and beneficial things others have produced, in contrast to spreading and encouraging their development and use. Can Shell just “donate” the necessary materials, have relevant employees sign appropriate contracts, and just run the same project through its Canadian branch with vessels under Canadian flag and jurisdiction? It would have to go back through all the red tape, but unless I missed something I don’t see this effectively killing the project. The ultimate goal is to nationalize the oil industry they way they’re nationalizing the auto industry and the health care industries. About all we can do is to write our congress critters – even the liberal ones – and educate people about the real reason why gas prices are going up – and vote, of course. Thanks ModE! I meant to fix that…glad you did. Then America could start to make things again instead of driving jobs overseas. What were you guys thinking when you voted this anti-business administration in? At every turn Obama and the Democrats have blamed big business for the problems in America when just the opposite is true. Clinton built the platform for the sub-prime catastrophe yet the banks are blamed. BP was crucified for an industrial accident that happened under government regulations. Now Obama is implying collusion and gouging on the part of big oil. Such a splendid giant of a country controlled by midgets. While most commentators understandably and rightly discuss the impact of US energy and environmental policy on the US economy, it is worth noting that a number of countries in the Americas are suffering from high oil prices and do not have the wealth of the USA to allow them to pay. And they have noticed that the real culprit in oil price rises is not little Libya and its war but big USA and its resrictions on energy exploration and development. Not surprisingly they are now much keener on links with Venezuela and a slowly liberalising Cuba, not to mentin Brazil and Nigeria as oil producing and exporting countries. How easily does the USA lose influence in its own economic area! Shell, tell them that you were going to use a Russian nuclear powered ice breaker. You gotta love the way the Democrats ban this stuff to keep their Green credentials intact knowing full well that the Republicans will lift the ban the moment they get back in. Democracy is just a big joke really. When I saw this, I just saw the US President ruling by dictat. Chavez would be proud how he pulled this off in a democracy. Who in the world does he think is going to pay for this? He doesn’t care; he won’t. It is ideological for him. Obama flies nearly every other day to give a “political speech” or “political fundraiser” or “attend the theater”. Airforce 1 and the large motorcade (SUVs in it) may burn more fuel per trip than an icebreaker does in a month. Some in-USA trips burn over 50,000 gallons, if reports are to be believed. Very expensive and wasteful of fuel (we pay for it). And, lots of CO2 for those that care about such things. “Do as I say, not as I do” — comes to mind. The President must set the “example for the nation”. Its the job that he applied for. Its called “being Presidential”. Oh – but SSam (SSam (April 26, 2011 at 10:46 pm)) – the shale oil is still a solid, and due to the high organic content – its a ‘rubbery’ solid. So even if one CAN frac it, it still needs to be heated up to convert the solid kerogen to a more liquid form (oil). Lots of research still required. Which is why its sooo disconcerting that the Obama administration canceled the research plot licenses. Its all just astonishing to me. We get ‘Ice Road Truckers’ here in the UK…. Does your nice EPA take into account the exhausts from all those mighty Kenworths flogging up and down the Dalton Highway in permitting the drilling at Prudhoe Bay..? That article kind of misses the point which isn’t a reserves issue, but a rate of production issue and cost. How many barrels of oil a day can be produced from the oil shale reserves and how much does it cost per barrel. The article it links to says intial costs would be $70-$95 a barrel and so to make a profit you would need the oil price to stay above that for the duration of the operation. It suggests that it might come down with time, but you wouldn’t invest $billions in the hope that it might come down over time. The only way to stop the US being dependent on Middle East oil is to use less oil. Cut off ALL supplies of fossil fuel product to all countries. Coal & oil. I think the governments of the world will think twice about their energy policies when they’re presented with 2 weeks of nothing but “clean green energy”. Sure, Joe Public will hate the mere thought of this kind of thing occurring, but sometimes desperate times call for drastic measures. I used to snicker at all the Manchurian Candidate comments about Obama, now I find the scenario quite possible. The man is total disaster and is bringing this country to its knees. Please don’t show him the Queen of Diamonds. I wish Donald Trump would dump the Birther thing, stop “converting” to Social Conservatism and just hammer the Democrats and Barry on the economy, immigration, and China non stop, for a year and a half. Getting the nomination is not even important, just to have someone who has the balls and the experience to tackle this administration head on and set an agenda for the Republicans is plenty beneficial. That being said I think this country is more than ready for a real outsider with business acumen to take the helm. Green technology was all fine and dandy when gas was under $2 and unemployment was under 6% an we all felt warm and fuzzy about saving baby seals and owls. Now we’re feeling the reality of what Green Energy means, high unemployment, skyrocketing fuel and food prices, and a fascist regulatory scheme that wields total and arbitrary power. Even Democrats I know are tired of Obama, only the far left ideologues and dupes who will fall for his lies again will vote for him. I haven’t read all of the previous posts, so if this is a duplicate, I apologize. Shell has been an ardent supporter of “Green” projects, just like BP. I suspect it’s to try to deflect criticism, “Why we’re big supporters.” Now it’s not working. The Greens in power see no need to deliver special favors any more. We’ve reached the rule of Caesar. Edicts, edicts, and more edicts. We are no longer ruled by law. Are you talking about the “experts in the white house with their community organizing experience? Why do you give up on developing resources that the investors and oil companies are willing to spend their stockowners money on? Besides they will buy leases to provide revenue to the Tresury and reduce our massive debt. I don’t get the logic? I suspect that the Administration and others really know better and are afraid that if the restrictions are lifted there will be a bonaza of production that will decrease government control of our lifestyle. Why bring up ROI if the Companies are willing to invest? Are you smarter than them? I believe in the free market, not an environmentalist or others from the oil hate religion. How about the negative ROI for biofuels, ethanol, solar, electric cars, and windmills. Does that bother you that we are wasting billions of these activities. That bothers me!! Also how about the specific EPA ban on Shell and all the other restrictions such as offshore Pacific (where oil naturally leaks to the surface), offshore atlantic, Off the straits of Florida where Cuba is drilling, ANWR, Arctic, Gulf, etc. How could you possibly know how much oil is there if exploration and development is banned. No reasonable person would make that claim considering the technology developments in the oil/gas business. stop this development rather than finding ways to make it safe and clean. Does anyone see a pattern here from the Administration? The Oil Shale reserves in the USA are around 2 Trillion barrels of technically recoverable oil. There are issues, but the technology is advancing. As technology improves Oil shale may indeed become a game changer. From 2010 through 2012, Obama’s & Boot’s MORONIC drilling moratorium/permitorium will result in a loss of ~267,000 barrels of oil production per day… 292 million barrels of oil lost production. Oil that will be imported rather than domestically produced. A loss of ~$23 billion in total revenue to the oil companies that would have produced that oil… A loss of close to $5 billion in Federal royalty and tax revenue. The industry-wide tax “subsidies” that Obama endlessly drones on about, amount to a bit more than $4 billion per year and save consumers at least $11 billion per year. Even with those subsidies, the average effective tax rate on US oil & gas income is about 40% – Almost three times the average effective tax rate of multinational corporations like GE. This single stroke of EPA regulatory malfeasance could cost Shell more than $4 billion in lost investments in leases, seismic data and time. I attended those two presentations… The abstracts don’t convey the frustration that the Shell geoscientists conveyed. According to Shell, the problem is that the permits that they do get from the gov’t are worthless. Every time a permit is issued, environmental activists sue to have the permits revoked and the US gov’t refuses to defend its own permits in court. One Shell geologist that I know said that they are dismantling exploration groups they had assembled to work the Atlantic OCS and other areas because of Obama’s & Boot’s illegal permitorium. They are shifting focus overseas to countries with less political risk. The United States has not even begun to exploit about 60% of its oil & gas potential. While we may very well be on the back side of the decline curve for the areas currently being exploited, we could easily double our daily oil production within a few decades. Mister President, we can drill our way out of this! No, that’s only one way, and it’s the worst choice. The U.S. could stop depending on Middle Esat oil if oil companies were permitted access to the enormous store of oil under the continental shelf. But they’re not. We sit idly by as China and Cuba partner to drill for our oil 30 miles off the Florida coast. That is A-OK with the Obama Administration. And when there’s a well blowout, the media will hardly mention it. Meanwhile, we diddle around with shale oil and tar sands, and the very same manchurians who will not allow drilling are now going after frakking, which is providing enormous new energy reserves. You don’t have to be a conspiracy theorist to see that they’re deliberately kiling the goose that lays the golden eggs. But if it’s not a conspiracy, I’d like to know why they’re deliberately destroying the greatest prosperity engine in the world. The Roman Empire became decadent and fell, China became inward looking and favoured the arts and fell behind, The british Empire also. USA? who knows? but the writing in the wall is getting larger chaps. take great care, the spenders are outnumbering the generators. 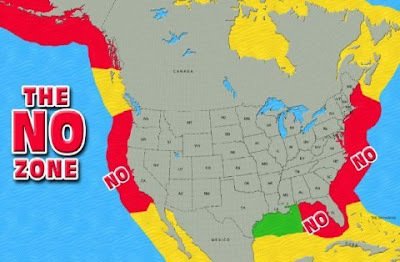 The zone on the West coast is unlikely to contain much in the way of oil so there’s not much point looking there. The East coast has the posibility of containing some oil, comparable to the quantities found off of the Atlantic margin in Ireland, France and Spain. In other words not a lot. GOM around Florida is possible I guess, but as much of the trapping is a result of salt movements and reservoired sands from the mississippi I’d imagine you’d have limited success. That’s not to say you won’t find any, but you’re unlikely to find anything close to what the US needs in terms of production to stop it being dependant on the Middle East. Sorry, but it’s just not there to find. Which is why numerous tactics are used to liquefy it. CO2 injection (solvent), steam injection, or firing and cooking it in place etc. That map doesn’t show the north coast of Alaska, which holds many billions of barrels of oil – with much more waiting to be discovered. But the manchurians have made it illegal to even look for new oil. How stupid/devious is that? It’s true that the ‘low hanging fruit’ has been produced. But there are enormous oil reserves still available. The problem is government, no more and no less. If exploration and drilling was encouraged, instead of being disallowed, the price of oil would fall drastically, just as it did when President Bush lifted the moratorium in 2008: the cost of oil fell from $147/bbl to $33, and gas was under $1.90 a gallon when the treacherous Obama took office. This story makes blood shoot out of my eyes. Well Occidental Petroleum has that “in situ” process, where they simply set fire to some of that shale, and the heat from that liquifies the rest so they can pump it out of the ground; don’t even need to dig the shale up. Of course that rubbery shale “oiul” is a perfact application for free solar energy from the sun. You simply sink long “heat pipes” down into that shale, and then you put a solar mirror system on the top to concentrate sunlight continuously during the day) onto the top of the heat pipe to be transported by the pipe down to the shale. So what if it takes five years for the sun to warm the shale oil rubber up to the melting point; it’s free, and readily available in places that have oil shales. Total = 116.4 billion barrels of oil and 650.9 trillion cubic feet of natural gas. Based on the government’s track record, the 116 billion barrels of undiscovered oil under Federal lands is more likely to be 680 billion barrels. That’s close to 100 years worth of current US consumption – And that’s just the undiscovered oil under Federal mineral leases. When you factor in unconventional oil plays, the numbers become staggering. The USGS estimates that the Green River formation holds “more than 8 trillion barrels of shale oil in place, with an estimated 1.8 trillion barrels marginally attractive to production. SOURCE . A 10% recovery factor (like the Bakken) would yield 180 billion barrels of oil (~25 years worth of US consumption). The Federal government is blocking exploration in areas that could easily contain over 140 years of US oil consumption. And I haven’t even scratched the surface. Yes Obama and his continued monetary policy of his predecessor can be blamed but not for the reasons you are using. In fact if you had any honesty about this you’d be far more pissed, in fact everybody should be but that is another thread for an econ forum. When your govt conducts financial warfare on you its definitely reason to be pissed. It’s a solid, in most places in the US it is buried and buried several thousand feet underground(read way too deep to be mined). It has an energy density not much better than a baked potato. It isn’t crude oil by a long shot. It has crappy characteristics and like the tar sands of alberta it must be processed into a synthetic crude, by the time you are done if you have a net energy gain you are lucky, nobody has been able to pull that off yet with any consistency. Its even worse that the in situ oil sand processes being used. Yes there are some small places where it is close to the surface, just not very many in the US. In europe some places it can be mined and ground up and burned directly, the US doesn’t have those kinds of shale formations though. Again, flow rate is everything, doesn’t matter how big the reserve is, if it cannot be extracted at a high enough rate it does almost nothing to mitigate the decline rates of our existing crude oil fields. Plus you are also trading leverage downwards as you go along. Economically leverage is everything, these low quality hard to deal with and extract reserves can easily do more damage than you get in return, this is why they are economically infeasible. The US will see coal being turned into liquid fuels long before shale is, its much more feasible and the returns are far greater. Oil Shale is a Contingent Resource. We know where it is, but we don’t know how to make a profit with it. The Barnett Shale is a Proven Resource, ten years ago, it was Contingent, but we have learned how to make it profitable. Shell (and others) are attempting to drill for Prospective Resources in the Beaufort and Chukchi Sea. All exploration (prospecting) is for Prospective Resources. So when you see “Oil Reserves to be exhausted in 13 years.” It might be technically correct because they are only counting the Proved Reserves. Useless and misleading, but technically correct. The hydrocarbon characteristics of the the oil shales of the Green River formation in the Piceance Basin are superior to those of the Athabasca oil sands. The hydrocarbon areal density is about 13X that of the Athabasca deposits. Canada is currently producing ~ 1 million barrels of oil per day from Athabasca oil sand deposits. They expect to increase that to 2 million barrels per day over the next decade. The Green River oil shale deposits in the Piceance basin could easily outperform Athabasca within a decade and with a much smaller environmental footprint… The only obstacle are environmental activists and the US government. It easy to resolve the uncertainty. Allow exploration – with private money. Or they won’t, they’ll go broke, and we’ll have to find another way. Or they’ll establish, yes, it’s there, and here’s what the economics look like. “ground truth” (and not at taxpayer expense). btw, the end of civilization may be the giving of standing in law to any loudmouth with a website and enough money to bring a frivelous suit. Since all the complainers are co2 emitters, I’ve half a mind in my darker moments to regulate them…. Pew Charitable Trust gives (gave) grants to EarthJustice, Center for Biological Diversity and Environmental Defense Fund. Surdna, and The Compton foundations send grants to Alaska Wilderness League. Does one know how many individuals – not foundations and uber rich- support these groups? Do they really represent the little guy? Or are they just names under which the “Progressives” hide? That is only a problem if you actually believe anything Obama says, Anthony. I don’t and so I am never fooled. Dirk, it’s no different here. Hasn’t South Africa derived the majority of its fuel from coal liquefaction since the ’50s? Can getting oil from shale be harder than that? Can’t we do the same thing? We’ve got plenty of coal. The real sad part of the Pew Charitable trust is that the Pews were (are?) the principal owners of Sun oil Company, a major refiner, and all those “dirty” oil profits over the years are now being used/abused by the progressives to kill sensible solutions to todays problems. I suspect that “old” man Pew is turning over in his grave seeing how his hard earned dollars are being abused by those who now run the trust. The US is down to just under 5 million barrels per day or crude + condensate production, been falling since 1971. Flow rate is the name of the game and the US lost the ability to boost production enough to overcome the decline rate of existing fields a long time ago. US crude oil production (including lease condensate) is currently around 5.4 million barrels per day. However, total US oil production (all petroleum liquids and refinery gains) is currently around 9.1 million barrels per day. The US is actually ranked #3 behind Saudi Arabia and Russia in both crude and total oil production. The US oil industry (including Shell USA, BP USA and other domestic subsidiaries of foreign companies) has managed to do this with one hand essentially tied behind our backs – Areas containing ~60% of US oil and gas potential have never been effectively opened to exploration (including ~80% to 85% of our OCS). Obama’s perimitorium has essentially tied the other hand behind our backs. Meanwhile the numericly challenged White House castigates the bad, bad oil companies for their obscene profits. Not that the administration understands the term, but after expenses, taxes, etc. Shell’s profit margin is under 7%, while administration “green technology” buddy Jeff Imhelt’s GE’s profit margin is 11% much from wind turbines and other govt mandates benefiting corporations playing to the agenda, and major campaign contributor Google gets 34% margins. But the oil companies, they’re bad, bad people. WASHINGTON – General Electric, the world’s largest industrial company, has quietly become the biggest beneficiary of one of the government’s key rescue programs for banks. At the same time, GE has avoided many of the restrictions facing other financial giants getting help from the government. The top tax bracket for U.S. corporations stands at 35 percent, one of the highest rates in the world. So how is it possible that a giant of American business, General Electric, paid nothing in federal taxes last year, even as it made billions in profit? According to the Congressional Research Service, hardly a mouthpiece for Big Oil, the U.S. has the largest energy resources of any country, Saudi Arabia and Russia included. So they’ve increased the undiscovered volumes. This means they haven’t found anything, but they think there is more to find than they thought there was. Still haven’t found anything though. Believe the myth if you want, until they actually find find 100+ billion bbls of oil it’s as good as saying they think there 100 unicorns left to find. Let me declare an interest here. Along with the great providers of occupational pensions, I, a Uk pensioner, have personal money invested in Shell. My government has for the past couple of years printed money and let inflation rip to 5% whilst at the same time holding interest rates down to .5%. Thus the retired fixed income portion of the population has been forced to watch it’s savings erode so that the government can diminish the structural and national debt. Shell currently pay a 6% dividend, which after tax allows me to just about maintain the purchasing power of my savings. There is an old stock market saying “NEVER SELL SHELL!”. You’re damned right we want our £4billion back! A lot os “estimates” there. What is the proven reserves for the US then? Compared to 267 billion for Saudi, 143 for Iraq, 138 for Iran, 108 for Kuwait and 98 for UAE. All those estimates mean nothing unless you find it and get it out of the ground. If the IPCC said they estimated it had warmed by 2 degrees in the last decade you’d laugh and rightly so! Same applies to the estimates you quote. Get up to speed here. The link in my post @12:34 above confirms that the U.S. has the largest energy resources of any country, Saudi Arabia and Russia included. In oil country gov bomb the terrorists to create a stable world and a steady flow of oil under the worst of circumstances, in cold country gov gets in bed with the terrorists and offsets the stability of the world to strangle the flow of steady oil under the best of circumstances. Only to a terrorist funding organization could that make sense. We have invested in the unelected functionaries working at the EPA the power to destroy our economy at a whim. The EPA is abusing their power. It makes me ashamed of my country. If you think I was over the top, maybe you should do some research on the Center for Biological Diversity and just what they have been up to the last 20 years! BTW, you might have some difficulty if you just relay on google. The increased the estimate of undiscovered oil in the Gulf of Mexico from 9 billion barrels in 1987 to the current 45 billion barrels because we discovered a helluva a lot more than 9 billion barrels in the Gulf over the last 20 years. Almost all of the large US fields discovered since 1988 were discovered in the deepwater of the Gulf of Mexico. In 1988, it was unclear whether or not the deepwater plays would prove to be economic. Mars has produced 1 billion barrels of oil and 1.25 TCF of natural gas since coming on line in 1996. It is currently producing over 100,000 barrels of oil per day. Dozens of Mars-class fields have been discovered over the last 20 years… Most of those have only barely come on line over the last 5 years. The most significant play in the Gulf of Mexico, the Lower Tertiary, wasn’t even a figment of anyone’s imagination in 1988. These are massive discoveries. Several fields are expected to come on line at more than 100,000 bbl/day. This play is still in its infancy. The largest field in the Gulf of Mexico, Shell’s Mars Field, was discovered in 1989. Prior to this discovery, no one thought that Miocene-aged or older reservoirs existed in deepwater. Proved reserves represent the audited volume of hydrocarbons that are “proved” in a well-bore that can be economically recovered at the time of the audit. SEC auditing rules are very strict. Auditing rules in Saudi Arabia, Iran and other OPEC companies are, at best, opaque. The United States converts its proved reserves to production very quickly and very efficiently. We don’t sit on proved reserves… We can’t afford to because we have to make money and if we don’t produce proved reserves, we stand to lose the leases. If you gross up our reserve growth to account for production, our proved reserves would have been growing by an average of 2 billion barrels per year over the last 20 years… And that’s all from relatively mature areas. It doesn’t take a rocket scientist to forecast that there’s another 100 billion barrels remaining to be discovered in the US and on its OCS and it’s not much of a leap of faith to think that the oil industry will find about 6 times that estimate, if it’s allowed to explore. It would actually take willful ignorance to believe that there’s not at least 100 billion barrels of oil remaining to be discovered domestically. OPEC middle east nations all doubled their reserves at the stroke of pen back in the mid 1980’s. Their quotas are based on reserves. Saudi Arabia has been claiming 260+ GB of oil ever since, it doesn’t change no matter how much they produce. Another reason the Administration no drill policy is suicidial is the fact that shutting down selling new leases deprives the US Treasury of billions of dollars in lease fees and royalities. Note that this was 23 billion dollars in 2008. That does not include the income taxes paid on Oil Company profits. How much do you think lease fee income has fallen off since we stopped leasing lands and curtailed production in the Gulf? Nah we would rather give Brazil 2 Billion dollars to drill offshore and pay market price for their oil!! Earthjustice is a terrorist/lawyer NGO. But they sure do have a pretty website, don’t they? Ireland seems to think it has 130 billion barrels of oil on it’s atlantic margin, 100+ dry wells would suggest that while they’ve got a World class source rock there’s just not much in the way of oil trapped there. Undiscovered estimates are just guesses to keep people investing. Doesn’t actually mean you’ll find anything or that it’ll actually be commercial. The jeanne d’Arc Basin is just a bit closer to the US Atlantic OCS. Hibernia Field has produced 700 million bbl. Remaining proved and probable reserves are currently booked at ~1.4 billion bbl. The US Atlantic OCS has a few dozen exploration wells, drilled on 1970’s vintage seismic data. Several found oil & gas pay; but we’re deemed uneconomic. The technology to develop them did not exist thirty years ago. Furthermore, the Atlantic OCS represents only a tiny fraction of the gov’t estimate of 116 bbl of undiscovered oil. More than 90% of the potential is in the Gulf and Alaska. Dennis Nikols, P. Geo. If we are serious about energy independence then we need to do several general things. 1. Get busy with increased development of convention crude in places like the Williston basin and enhanced recovery techniques. 2. start developing resources like coal and keragon shale as sources of fuel liquids. 3. Natural gas is another source. 4. increased efficiency is always good. 5. lots of possibilities in recycling like tires and other stuff and bio-waste. 6. Hire me to advise you. “Energy Independence” is an emotional delusion pushed by people who either do not understand where our energy comes from or basic economics. While increasing exploration and drilling domestically will help reduce the price of oil it cannot replace foreign sources of cheap light crude like Saudi Arabia. The known reserves of light crude do not exist domestically. More expensive forms of petroleum like shale or coal to liquids will not be used until it is economical to use them. Natural gas is another possible far in the future replacement for oil but the market can determine this on it’s own and at an economic price. I am all for domestic exploration and drilling but am under no delusions, we need every foreign source of oil on the market that we can get and should be looking for more. We already have the best energy plan available – the free market. It hasn’t technically been a “conspiracy” for decades. Much worse than that, it’s an entire culture — they’ve split off from the “working” culture to an “entitlement” culture (just another form of the old “elitist” culture). One profound characteristic of these elitists is dishonesty — they tell you something & do the exact opposite. The Obamanation is a perfect example. They hide & obscure the details of their motives, but operate right out in the open. Eventually, greed & lack of ethics & morals can destroy any economic system or government. Well, then, let the free market work. 1) Athabasca oil sands are economically competitive with the OPEC basket… Green River formation oil shales are superior, by a wide margin, to Athabasca oil sands. The Green River oil shales would yield 100,000 bbl of 38° API sweet refinery feed per 160,000 tons of ore & overburden. Athabasca oil sands yield 100,000 bbl of 34° sweet refinery feed per 430,000 tons of ore & overburden. The unconventional oil is actually very light and very sweet; the OPEC Basket is actually heavier (32.7° API). Athabasca is economically competitive now. Green River could be economically competitive now. The only obstacles are environmental terrorists activists and the US government. 2) “The known reserves of light crude do not exist domestically” because the areas most likely to host giant and near-giant discoveries are effectively off limits (Chukchi Sea, ANWR) or in the infancy of exploration and under a permitorium (Lower Tertiary GOM). 3) The Efficiency Paradox is only a “paradox” to Luddite environmental terrorists activists. Increasing efficiency enables industry to do more work (generate more value) per unit of energy consumed. Using less energy is stupid – It destroys wealth linearly. Using more energy, more efficiently is smart – It creates wealth exponentially. Acutally I think you’ll find that off-shore Morocco is a better analogue for the US Atlantic margin than the area around the Hibernia Field. Steve, the reference I provided was to the Congressional Research Service, which states that the U.S. has the largest energy resources of any country, Saudi Arabia and Russia included. The CRS was the source, not the LA Times piece, which only referred to the original source. Sorry you don’t like their conclusion, but there it is. The U.S. has enormous reserves of coal and oil waiting to be produced. The only problem is the eco-dictators that control the Obama Administration. They and Obama are solely responsible for our extremely high gasoline and energy prices. The fault is theirs alone. As the previous Administration showed, by simply announcing that the U.S. will produce more energy, the price of oil fell by 80%, and the cost of gasoline fell from $4.50 a gallon to under $2. Then Obama took office, and preached that the cost of energy must necessarily continue to rise. See, it’s his fault. And I notice that in this entire thread other commentators have provide numerous links and citations, while you just give your opinions. That doesn’t make for a very persuasive argument. 1) Oil Sands and Oil Shale are “competitive” at a certain price point and that is when world oil prices are higher than what it costs the OPEC countries for production. Because neither is can produce remotely cheaper than OPEC 1 on 1. It is only when worldwide demand outstrips what OPEC can supply do they become players. Effectively the oil sands are now. Neither can replace OPEC they can only SUPPLEMENT them. Oil will have to stay very high for some time before these companies feel comfortable investing in shale again and it is more than just environmentalists, it is basic economics. You obviously have not studied this topic very long. Using energy more efficiently is the reasoning behind forcing us to use eco-bulbs. It is a waste of time and will not change a damn thing. The point hasn’t changed, “energy independence” is an emotional delusion spread by those who either don’t know anything about energy (where it comes from and how much it costs) or don’t understand economics. 2) The second is the Obama administration’s restrictions on domestic oil drilling and production. Obama belongs with the AGW religion and this includes ‘hate the West, especially America’. There is no question of the US being free of Arab oil. The US will be ground down to a supplicant of these barbaric states unless of course US citizens exercise their right and get rid of him. I have not forgotten his wife’s comment about the first time she was proud of her country (when he was nominated). It tells you a lot about their mind-set. I don’t know what we’ll find until we’re actually allowed to explore the US Atlantic Margin. 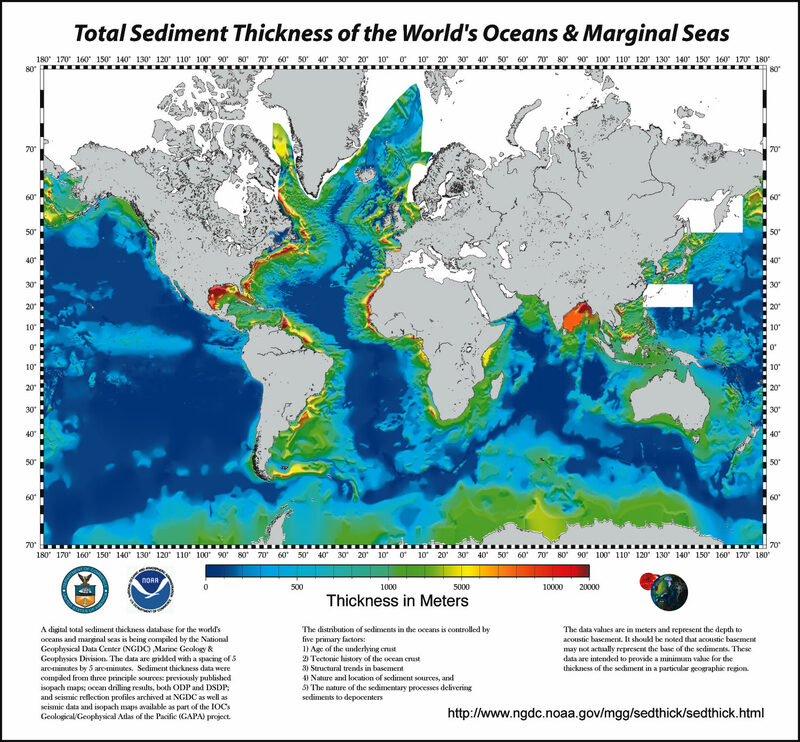 Oh… And the US Atlantic Margin only represents less than 3% of the total US undiscovered potential. Simple solution, Shell shuts down all refineries in the U.S. in the name of CO2 reduction until the EPA “reconsiders”. Don’t underestimate all the tools that the EPA and this administration have and will use to strangle our industry. 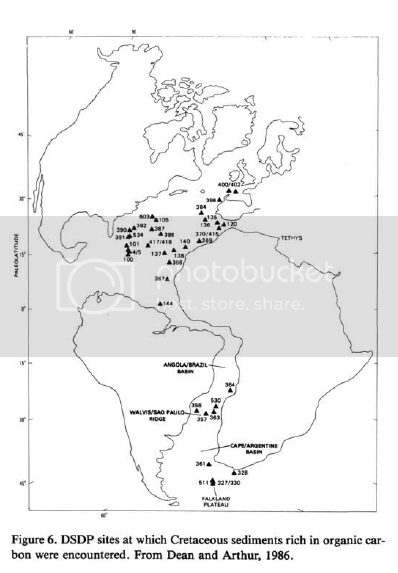 The fact that the US has ample fossil sources is not Revelant. EPA issued its final boiler regulations in February under a court-ordered deadline. The rules require that boilers and incinerators install “maximum achievable control technology” to reduce harmful emissions. The agency says the regulations will prevents thousands of deaths and heart attacks at a reasonable cost to industry. The boiler regulations have come under fire from Republicans and some Democrats, who say they will impose major costs on industry — one of a series of attacks on EPA regulations in recent months. EPA revised its draft standards, issued last year, after industry groups said the regulations were unworkable. Since the final rules differ so much from the draft rules, EPA opened up a reconsideration period in which the public can comment on and review the final standards. In a petition for an administrative stay on the regulations, the industry groups say the agency should halt requirements that companies comply with the boiler rules during this reconsideration period. et al., 2002; Horita, 2005, among others). by T. McCollom and an anonymous reviewer. Many thanks to J.
editing the first versions of the manuscript.